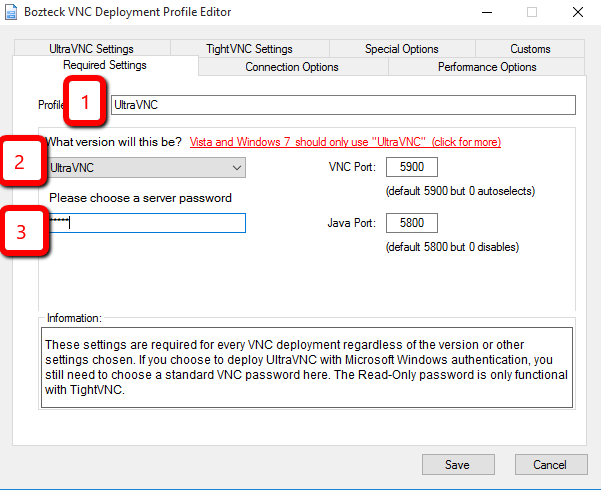 This article will walk you through the process of deploying UltraVNC silently to your workstations and servers. We will also cover the simple process of enabling SecureVNC encryption and windows login. 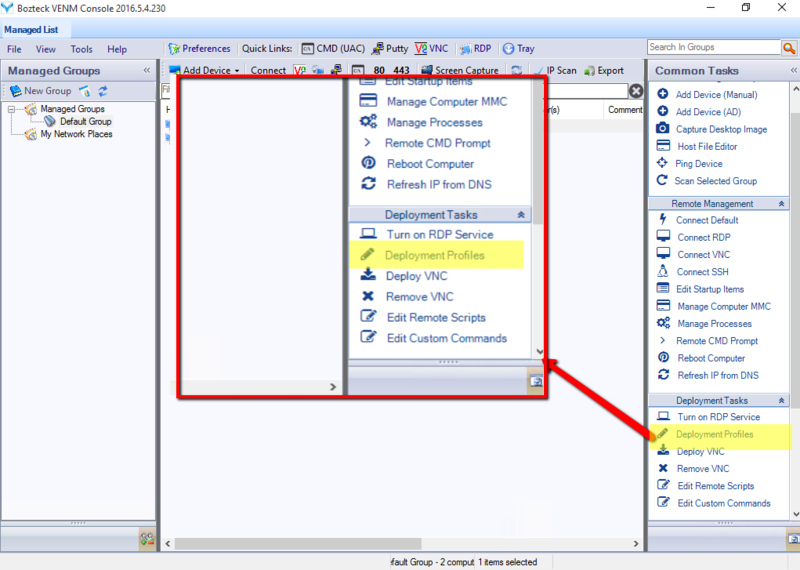 This article uses version 2016.5.4 of Bozteck VENM Remote Desktop Manager. First, we will create a deployment profile that will contain the settings that we will package up for deployment to our networked computers. That deployment profile will set the initial server password. This password is required even if you will authenticate sessions using your domain accounts. 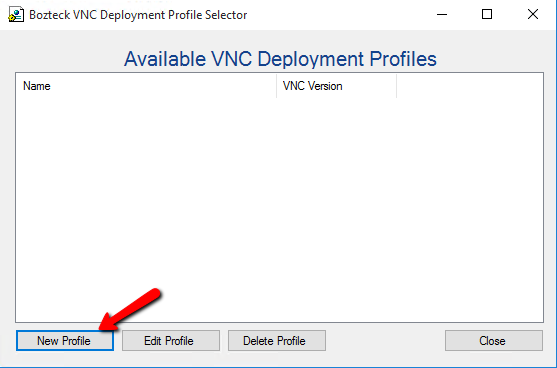 The profile will also choose the “flavor” of VNC. For this tutorial, we will use UltraVNC. 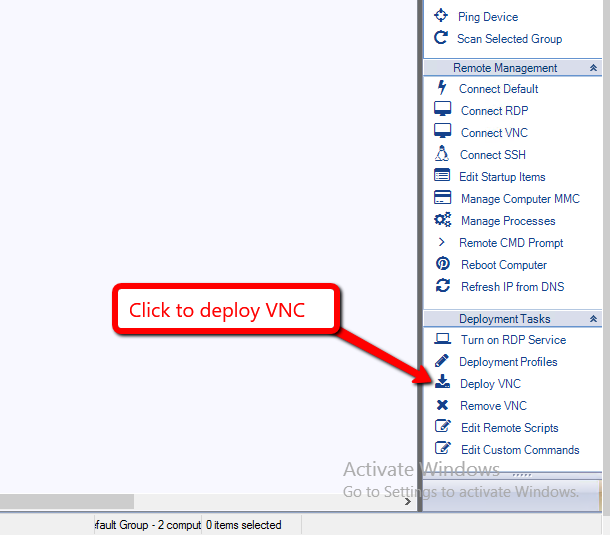 Step 5 – Set the username/password for deployment and go! 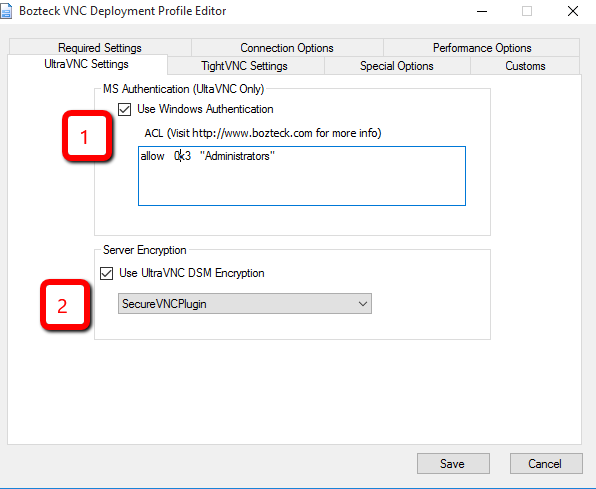 This is a very simple overview of the steps to deploy UltraVNC with strong encryption and Windows accounts. We will deep dive into the SecureVNC plugin and MS authentication methods in a more geeky level in future articles. All versions are thread safe, allowing the UltraVNC server to host multiple simultaneous viewers. 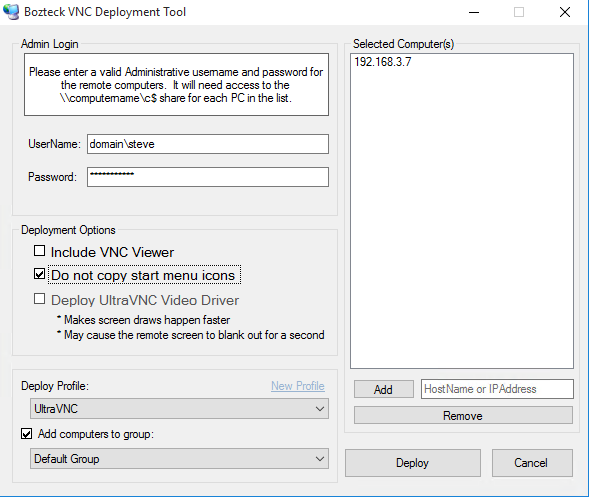 This entry was posted in Blog, how-to, Support and tagged bozteck, Deploy, Encryption, msauth, ultravnc, venm, vnc, Windows. Bookmark the permalink.